Its been quite busy for MVUT this past month and will continue to be for the next couple of months. The re-scheduled “Public Forum” which was held at the Mt. Vernon Extension of Westchester Community College on February 5 was extremely well-attended – actually a standing room only crowd. MVUT and Community Voices Heard (CVH) co-sponsored this event with Westchester County, and both organizations brought out many residents. Dennis, Tamara Stewart from the Plaza buildings testified, as did many other MVUT members. Tamara likewise went to the following Needs Assessment Public Forum in Ossining on Monday February 11. The February 20 scheduled vote on the possible rescission of the ETPA was postponed as the Village Board rescheduled the whole meeting due to inclement weather. The meeting has been rescheduled to Monday February 25. This lobby day will be either Tuesday May 14 or Wednesday May 15. There will be other smaller trips as well. We’ll keep you posted. Dennis was a panelist at Westchester For Change’s Public Meeting Free and Fair on January 28 – also a standing room crowd in White Plains. A lobby day was scheduled for Tuesday February 12 but was postponed due to an inclement weather forecast. That lobby day has been rescheduled for Wednesday February 27 (see enclosed flyer). Call the office for travel info. Governor Cuomo has included strong Lawful Source of Income (LSOI) protections in his Executive Budget with no exemptions! We’re asking our members and friends to call New York State Assembly members and Senators asking them to include the Governor’s Executive Budget language in their respective one-house (Assembly & Senate) bills. We had included contact information of all state legislators in our last mailing. Hopefully you’ve kept this list on hand and will use it for your LSOI calls and letters, in addition to your calls and letters, for the NPP and Rent Reform Campaigns – consider yourself a “citizen lobbyist! Our VISTA volunteer, Monique Boamah has been extremely active and productive in recent weeks. She’s continued her organizing work in Intown Towers in Mount Vernon and she has been doing great work in the large (over 400 units) Riverview complex in Yonkers. Part of this campaign and her new outreach to 73-83 Highland Avenue, has included meeting with City Council Members Shanae Williams and Corazon Pineda-Isaac. MVUT has been meeting with Legal Services of the Hudson Valley (LSHV) and a number of other housing and activist groups to begin a campaign to guarantee that tenants have legal representation in local landlord/tenant court cases. This will be a “huge lift” and will most likely be a multi-year effort. We’re at an extremely early stage in this campaign. We’ll provide continuing updates and let you know what you can do to assist. Did you write and/or call your State Legislators about “Full Funding” for the Neighborhood Preservation Program (NPP)? Did you write or call your State Legislators about the three (3) key issues in the Rent Law Renewal Campaign on the previous page? If not, please do so – TODAY!! As we’ve been telling people, for the first half of 2019, MVUT will be spending a great deal of time and energy working to renew and most especially STRENGTHEN the state rent and eviction laws. In our Mid January 2019 News and Update , we enclosed a copy of a Tenant Alert which more fully explains some of the legislative goals we’re working for, and an Op Ed Dennis did for The Journal News. This is the first time in a generation where there’s a real chance to get some meaningful improvements in the tenant protection laws. MVUT is the only non New York City organization on the Steering Committee of the Real Rent Reform (R3) Campaign. We’ve been participating in meetings, conference calls and actions as the Campaign begins to heat up. There will be weekly visits to Albany every Tuesday and MVUT will join in a number of them. We’ll also be meeting with state legislators from the Westchester delegation in their local district offices. MVUT organized a meeting for Westchester activists on the campaign in the MVUT office on January 10. We had representatives from Mount Vernon, Yonkers, New Rochelle, Port Chester, Ossining and Hastings present. MVUT will be going to Albany next Wednesday January 23 as part of a National Day of Action For Rent Control. In the next mailing we’ll include names and contact information regarding all Westchester representatives in the State Legislature and a Sample Letter for people to use as a model for their personal letters, emails etc. The lack of affordable rental housing remains one of the region’s most intractable public policy problems. Much of the affordable housing crisis we’ve been experiencing in the New York metropolitan area is directly tied to the loss of between 300,000 to 450,000 affordable state rent-regulated apartments since “vacancy deregulation” started in 1993. In Westchester, in the early 1980s there were over 80,000 rent-regulated apartments. Today there are approximately 25,000. While much of the loss was the result of co-op and condo conversions in the 1980s, we have been losing hundreds of units annually through various high-rent deregulation measures. The tenant movement has been working to reverse this course in New York. We need the state Legislature to strengthen the state’s rent and eviction laws. The Emergency Tenant Protection Act of 1974, known as the ETPA, which allowed municipalities in Westchester, Rockland and Nassau counties to put in place rent stabilization programs, really works. When its protections are violated or undermined, bad things happen. Amendments passed by the state Legislature in renewal years (1997, 2003 and 2011) contributed to the continuing loss of previously affordable apartments. As a result, prospective tenants no longer had affordable housing options. With the universe of affordable apartments severely constricted, upward pressures on all other apartments was dramatic. It led to many tenants having to pay increasing portions of their income for rent — 40 percent, 50 percent and more. Many landlords cut back on services, realizing tenants had no bargaining power. Repeal vacancy deregulation (Senate 3482/Assembly A433). Since 1997, the law allows apartments to be “deregulated” when they reach a certain rent upon vacancy. As a result, many landlords have attempted to raise rents legally and illegally, often forcing tenants out. This legislation would protect current rent-regulated tenants and re-regulate many units already deregulated. Sen. Andrea Stewart-Cousins, who is likely to become senate majority leader, has been the lead sponsor of this bill for years. Close the “preferential loophole” (Senate 6527/Assembly 6285). This “loophole” allows landlords to raise tenants’ rents from a “preferential” amount to the “legal” level upon lease renewal, subjecting tenants to huge increases and forcing many to vacate. Closing the “loophole” would only allow an increase upon vacancy. Repeal the statutory vacancy bonus (Senate 1593/Assembly 9815). Since 1997, landlords are allowed a 20 percent rent increase upon vacancy with no apartment improvements. This encourages landlords to force tenants out. The state Assembly passed all three bills in the last session, but the state Senate would not consider them. However, the state rent laws come up for renewal next year and the tenant movement is already organizing. We hope that the new Democratic majority in the Senate will move quickly to pass the above-referenced bills, providing protection for tens of thousands of tenants in the region. We cannot build our way out of our affordable housing crisis. We must build, but more importantly, we must also preserve already existing affordable rent-regulated housing and re-regulate thousands of units of housing that were deregulated. The Village of Ossining’s adoption in September of the Emergency Tenant Protection Act is an extremely welcome development and will add an additional 1,200–1,800 units to the state rent-regulated stock. 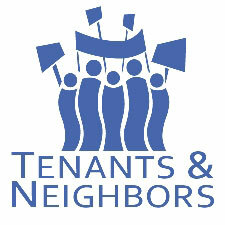 Mount Vernon United Tenants will be organizing tenants throughout Westchester for the upcoming “Rent Law Renewal Campaign” in 2019. We encourage tenants and those interested in affordable housing to join us. The writer is executive director of Mount Vernon United Tenants.